We’re celebrating our next release with a showcase set at Illumination‘s Cosmic Gamma Rave on 18th August at PKHS in Tilburg! Captive makes his NL debut as he invades BlackMask‘s set. The two join forces for the NL debut of the Danish artist and a very special set celebrating his upcoming release on Sound Solution Digital, “Demolition Unit” (SSD095). BlackMask, is an international DJ and drum and bass production entity consisting of producers Beretta (US) & Nether Void (DE). In late 2012, BlackMask spawned from dark depths of the DnB scene to bring high impact, dark energy back into the world of jump-up drum and bass. BlackMask has gained the attention of big players on the scene; Noisia, Rene Lavice, Grooverider, Nicky Blackmarket, Macky Gee, Phantasy, Figure, Tyke, DJ Sly, & Blackley are giving BlackMasks production DJ support. 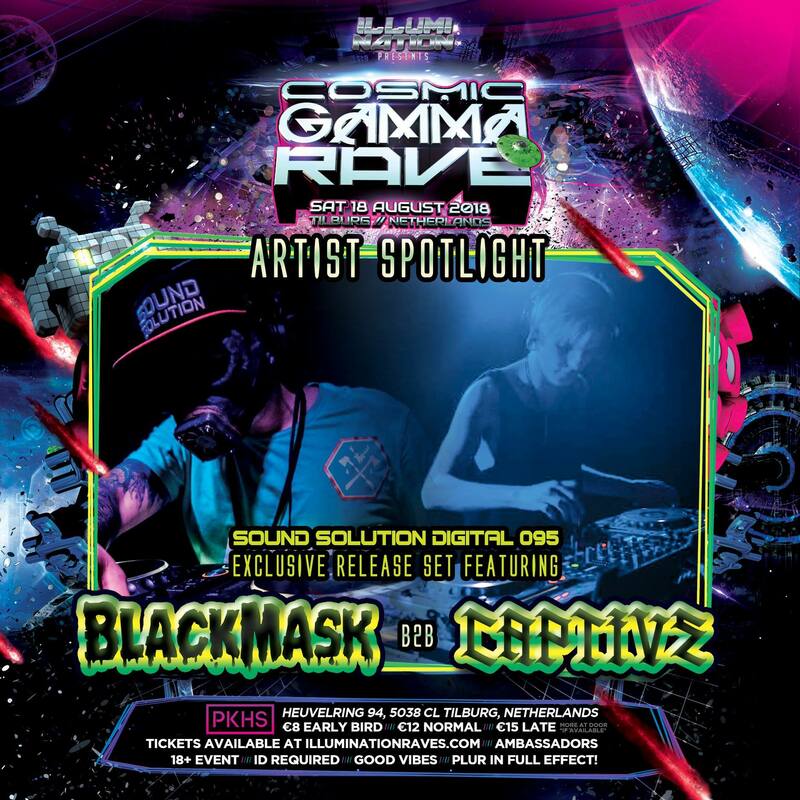 BlackMask is normally hiding out in their secret lair concocting new waves of bass destruction, but will be blasting the basslines in the main hall, Invaders From Outerbass, at Cosmic Gamma Rave. Tickets are still available for this event. Head to Chipta.com to secure your tickets.